Canberrans are warned about severe weather conditions, especially in Belconnen and Tuggeranong areas. 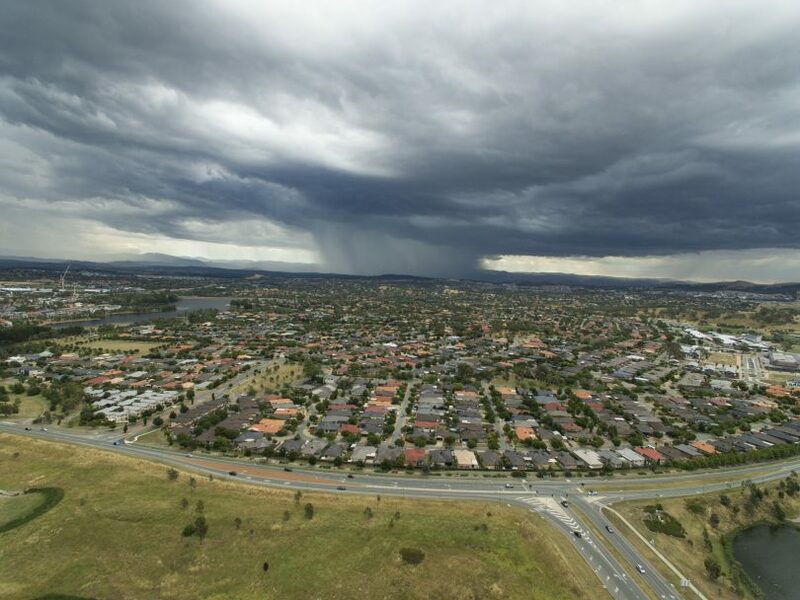 If you live in Tuggeranong or Belconnen the odds are that a major storm is going to wreak some havoc in your suburb this storm season, according to figures issued by NRMA Insurance. The Tuggeranong suburb of Kambah heads the top 10 list from the 2016-17 financial year (1), joined by Gordon (3), Wanniassa (4) and Calwell (8). Nicholls in Gungahlin was second but the rest of the list is filled out by Belconnen suburbs Kaleen (5), Evatt (6), Fraser (7), Dunlop (9) and Macquarie (10). NRMA said that more than a third (36%) of all home claims in the ACT during the last financial year were the result of storm damage. Although this was down on 2015-16 when 57 percent of all home claims were caused by storms, 2015-16 was a particularly severe year for storm damage, with claims well above Canberra’s five-year average of 38 percent. “While this year’s data in ACT shows a decrease in the amount of home claims caused by storms, it’s important to note last year was a particularly severe storm season in ACT. The number of home claims caused by storm damage this year has returned to the long-term average in Canberra so it’s critical that residents understand that severe weather can strike at any time and preparation is key to limiting damage,” an NRMA spokesperson said. Call the State Emergency Service on 132 500 for help in floods and storms.